Tissue papers are a curse to the environment. They are good for only one-time use and have to be disposed of later, increasing the amount of trash all the while putting pressure on our environment. Tissue papers are obtained from trees, one of the vital sources for our survival. It takes about 17 trees to produce 1000kg of tissue papers. The average person’s yearly use of tissue paper results in the death of 300 trees. This is truly a worrisome number. Dry tissue papers have the probability of having harmful bacteria and germs living within them which transfers to the person’s hands once the person starts using the tissue. Felling trees result in the increase of carbon dioxide in the air which is extremely harmful to human beings. In addition, paper towels or tissues can become extremely messy while using and may add to the trouble. Then there’s always the perfect bad scenario- no tissue paper/paper towels. The issue of them running out makes it a necessary to stock up on tissues beforehand. Hand Dryers don’t endanger the environment at all compared to their dangerous counterparts, the tissues or paper towels. This is because of the simple fact that they don’t need trees to make them. The dryer is not at all messy and cleans the hands quickly and thoroughly. In addition, it does not spread germs as the dry tissue does. 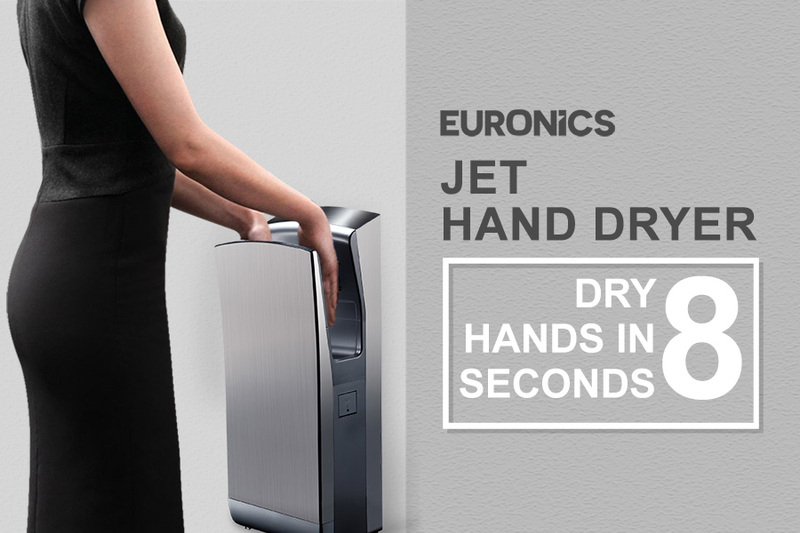 As is evident, it is far better to switch to eco-friendly hand dryers like Euronics in order to save and protect our environment.